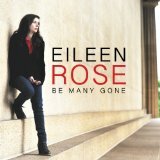 This made-in-Nashville, contemporary country album is full of sweet surprises, the sometimes quirky arrangements, the lyrics, the instruments… It has different moods and tempos and Eileen Rose makes you want to listen to her latest offering, she speaks clearly to her audience, one to one. She’s no newcomer either; a few albums in and plenty of touring and festivals to support them, this is an accomplished and confident sounding album. She started writing at 14, trying to emulate her idol, Kate Bush, but was listening to an eclectic diet of music from Bowie to Linda Rondstadt. Eileen Rose has both American and Irish heritage and her first gigs were around Boston when she was playing mainly folk music. Since then she has also lived in urban Essex and gigged in London for a stint, when she also released two CDs for Rough Trade. She has toured the UK and US with such reputable company as Ryan Adams and Beth Orton, before expanding her growing fan base to Europe. There are many hints on this album, that there is more to her than country as the Jive-paced, “Just Ain’t So” prove and the sultry “She’s Yours”, with fiddle and brushed drums, a well placed accordion also lends a European touch to some tracks. “Be Many Gone” opens with a bouncy “Queen of the Fake Smile”, complete with lively fiddle. The mood then shifts to a slower pace including the bittersweet, “She’s Yours” and stand-out “Prove Me Wrong”. “Each Passing Hour” features Frank Black as a duet, which doesn’t work so well for me but sonically it rolls nicely with castanets and Mexican sounding trumpet. Eileen Rose plays guitar and taught herself piano, but she also picks up other instruments (including bongos) and is just setting up her own label Holy Wreckords with her collaborator and producer, mixer and engineer of “Be Many Gone”, Rich Gilbert, so it appears that Eileen Rose is experiencing a period of enormous creative growth. This is an emotionally wrought set of songs where she wears her heart visibly, but in no way is it depressing; Eileen Rose clearly also has a sense of humour, “I can be a good friend, I can be a joker, but you can choke me up now baby with a single glance” (“Comfort Me”). Not that she comes from the old Patsy Cline school of victim lyricism, she clearly empowers herself and shares this, while retaining a capacity for vulnerability and intimacy. Vocally Eileen Rose has a country voice pitched somewhere between Kirsty MacColl and Lucinda Williams, while she doesn’t stretch her voice much on this album, the comfort in her voice contrasts nicely with the sometimes uncomfortable lyrics. 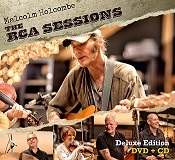 If you like country music with European and folky twists, this is definitely an album to check out. Eileen Rose is currently considering playing dates in the UK and if past accolades are anything to go by, it will be a hot ticket! “Be Many Gone” is out now on Holy Wreckords HWER12714. Angelique Kidjo has taken over the mantle of Queen of African music, from the late, great Miriam Makeba and with today’s media has probably spread her reach further, having collaborated with dozens of Western bands and musicians. The festival concert at The Dome was the first time I have seen her in an indoor venue and the containment worked very well for the atmosphere. Kidjo criss-crossed between traditional forms and pop styles to great effect singing in four of her fluent languages, with an easy wit and story-telling in English. As well as her extensive back-catalogue, she covered Hendrix’s “Voodoo Child” and Santana among others, but it was Makeba’s “Pata Pata” that got the crowd to their feet and she had them dancing for the rest of the show; everyone left with a smile on their face. 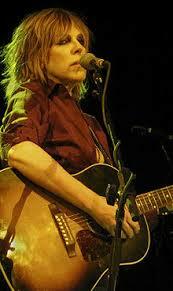 Lucinda Williams at the Brighton Dome was a very different proposition, intimate and largely downbeat. She took to the stage with her ballad book from over the years and largely stuck to it. With a backing band of just two, her guitar playing was a feature as well as her husky voice. Although, she somehow managed to avoid playing my favourite tracks I was introduced to others from her catalogue and it was a great show for the festival goers, many of whom were not long-term fans. Those expecting the most recent album ‘Blessed’ were disappointed however as she skipped it completely, this was a festival set, but one that left you with the sense of what a fantastic veteran singer-song writer Lucinda is. 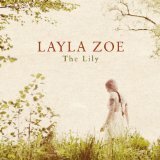 The Lily was the first material I had heard from Canadian Blues trooper Layla Zoe and what an introduction to her 7-album catalogue. This album is a collaboration with Henrik Freischlader, a German multi-instrumentalist and guitar trail-blazer, whose searing blues is the perfect accompaniment to Layla’s original voice. Although it is very positive and reflective blues, an interesting development for the genre, this album is very deeply felt. Tracks include those about ex-lovers and her Father as well as a couple of cover versions. Layla is planning to gig here in the UK in 2014 and I’m planning to see her beautiful blues live then. Boy George has certainly lived the life, from drug-use to DJ to internment and it shows in his husky voice, which surprised me by sounding stronger live than it sounds on “This Is What I Do”, the new album he was promoting in this compact but versatile venue. He and his band, including brass, played the entirety of that album of country-tinged, low-slung reggae as well as most of the Culture Club hits that made him famous in the 80’s. A very tender version of ‘Victims’ was almost sabotaged by the noisy crowd and I’ve seen George in a better mood, but overall this was a concert offering variety and depth. It was great to see George out from behind the decks and back in the limelight. 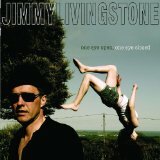 I came across Jimmy Livingstone when he supported Lucinda Williams at the Brighton Festival in May and was impressed enough with the live performance to buy his CD. Then it was one man and his acoustic guitar, so I was pleasantly surprised to find the album has horns and strings (both competently arranged by Livingstone), keyboards and percussion to enhance his sound. Track order is important on a recording and Jimmy has probably got it right here, although the part of me that likes my artists tortured would have liked the downbeat tracks to have been placed together. I can understand the man wanting to keep precious creative control, but I wonder if he had relinquished production altogether (credits are to JL and Eric Liljestrand) he might have been pushed to explore his depths just a little more; instead it sounds like he decided to try to keep it reasonably upbeat-sounding. If anything, Jimmy Livingstone sometimes tries to cram too many ideas into one song and occasionally they suffer from too much verse and not enough refrain to make a song immediately memorable but, I suspect, in his creative process the lyric comes first. “Useless Man” starts almost like the Rolling Stones with electric guitar and unique percussion and rocks with attitude; as a result his voice is stretched a little further. This track should have been the single in my opinion, as he really speaks up for himself and sounds comfortable doing so but it is less representative of the collection as a whole. “In Your Own Sweet Time” is a piano-led song of longing “I’ve gotta let you come to me, come to me, in your own sweet time, sweet sister of mine”. It reminds me of Nick Cave’s “Into My Arms” and is the best of the ballads, although it’s a little unclear if the song is written to a soul-mate or sibling. As a bonus the physical CD, as opposed to the download, includes a lyric book, although it needn’t have as Jimmy’s diction is crystal clear. There is range here both musically and lyrically and this is an above average contribution to various genres. It’s an album that sounds like it was a long time coming and I hope that future offerings have intentions and production values that allow for further exploration of both his wandering lifestyle and his musicality because, ultimately, he does not really take risks with this, his first disc. And an extra half star to take it up to 3.5. She kicks off with “Passionate Kisses”, the Grammy-winning track she wrote for Mary Chapin Carpenter. The concert continues her themes of heartbreak and loss, but it takes a specialist to dissect the human heart without merely going over the same ground and Lucinda succeeds. Although repetition is a strong feature of her writing style in terms of turning some of her songs into drawling incantations of powerful lines, there’s not enough of this for me tonight as her song choices on the whole avoid such relentless intimacy. Writing prowess aside, an artist like Lucinda was born to tell her tales live and she certainly is a powerful performer and effective communicator; she also plays a mean acoustic guitar backed only by bass and lead guitar. Lucinda is “so in the moment” that she forgets her set list and instead works her way through the ballads in her folder, before upping the tempo slightly. Williams’ voice attracts every Bourbon-soaked cliché but let’s just say she really sounds like she’s been there, and probably on more than one occasion, but at 60 years she still walks with her vulnerability; tonight we hear more of the songwriter and less of the singer. First person experiences form the bulk of her canon, which ranges from ballad to blues to rock edge which makes Lucinda an exciting live ticket. Long regarded as a competent live artist, Lucinda delivers those contrasts in tempo well, building the energy of the set that peaks at the much requested “Drunken Angel” and angry anthem, “Joy”. The audience are Lucinda’s contemporaries age-wise and sadly there are very few younger converts in evidence here and mostly festival goers taking a punt on a recommendation, but a core of fans enthusiastically make themselves known between songs. Most of her albums were represented here including “Jackson” from “West”, the album that did the best, chart-wise in the UK and she showcased 2 new songs including “Something Wicked This Way Comes”, hopefully from a forthcoming disc as she admits that she is longing to get back into the studio. The encore was an acoustic rendition of Nick Drake’s “Riverman” followed by the gratitude anthem, “Blessed” and it was all over after an impressive set of over 100 minutes. A quick mention is deserved for Jimmy Livingstone, support act who had his moments also on a singer/song-writer ticket.